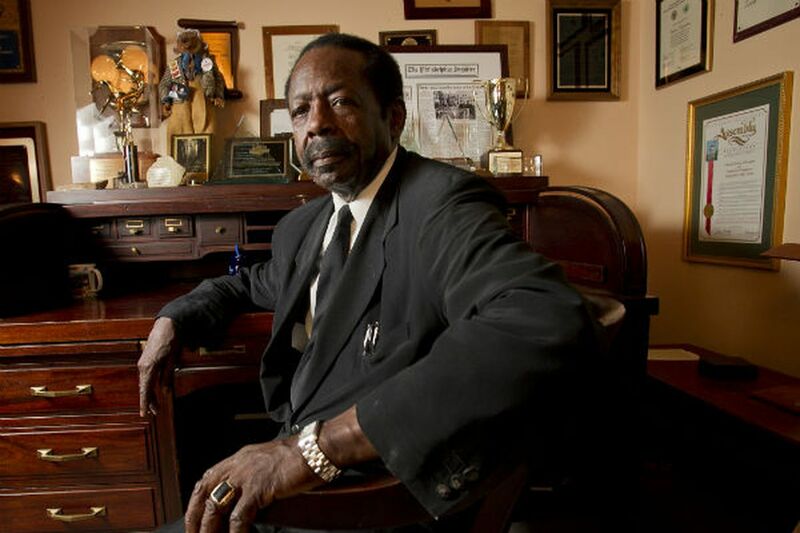 Henry Nicholas, president of the National Union of Hospital and Health Care Employees. Outraged by the School Reform Commission's decision to cancel its collective bargaining agreement with Philadelphia public school teachers, city labor leaders contemplated calling for a general strike. In two meetings, last Thursday and Sunday, labor leaders debated the wisdom of asking members of all area unions - laborers, electricians, communications workers, janitors, nurses, bus drivers, city employees - to walk off their jobs to protest the SRC's decision. "If there is going to be a fight, we have to fight about the future, and the kids are the future," said Henry Nicholas, president of the National Union of Hospital and Health Care Employees, headquartered in Philadelphia. In the end, the region's labor leaders decided to hold off. They "all felt there should be a swift movement against the cowardly action of the SRC," said John "Johnny Doc" Dougherty, head of the International Brotherhood of Electrical Workers Local 98, which hosted the meetings at Local 98's union hall. That the region's top labor leaders would coalesce enough to even suggest something as momentous as a general strike indicates the solidarity of Philadelphia's labor movement, said Paul Clark, director of Pennsylvania State University's College of Labor and Employment Relations. But practical considerations won out. Jerry Jordan, president of the Philadelphia Federation of Teachers, told the group that he wanted to exhaust legal remedies first. And the leaders decided to await the outcome of the Nov. 4 gubernatorial election. Democratic candidate Tom Wolf has said he supports returning Philadelphia's schools to local control. The SRC is a state board. "After a thorough vetting, we decided to go out and get Tom Wolf elected" governor, Dougherty said. Jordan said he appreciated the support of his fellow labor leaders. The SRC's decision to end collective bargaining "was just so offensive to everyone in labor," he said. Many union leaders are expected to show up at a rally Thursday afternoon outside School District headquarters on North Broad Street. On Oct. 9, Nicholas, also the head of the union's District 1199C, made a motion calling for a general strike at an informal monthly meeting of the area's top labor leaders. The meeting grew out of the Workers Stand for America gathering that drew 30,000 to 40,000 to Philadelphia's Eakins Oval in August 2012. Patrick Gillespie, head of the Philadelphia Building and Construction Trades Council, seconded the motion. The ensuing debate was so heated that a second meeting was held Sunday morning at Local 98's hall. Estimates of how many leaders attended both meetings vary from 40 to 70. Clark, the Penn State professor, said it was remarkable that union leaders had discussed a general strike. For such a strike to work, he said, it has to involve an issue where union members, working for different employers at different jobs, can find common ground. Concern about city schools fits the bill, he said. "Members of all unions are going to have children in the School District," Clark said, "so this is an action that is not just hurting one union." General strikes are rare, he said, but have occurred in Europe and South America. One of the nation's first general strikes took place in Philadelphia in 1835, when, according to one labor historian, Irish dockworkers on the Schuylkill struck to gain a 10-hour workday, down from 12. They were joined by city employees, bricklayers, and others in a successful effort.